If you’re one of many new gun owners who has bought their first gun these past few years, now is a great time to think about different ways to enjoy going to the range. Along with thousands of other people, I’ve found that practical pistol is a great way to have fun with a handgun and learn how to use it safely under the stress of competition. I didn’t get into the shooting sports because I grew up around guns, (though I did quite a lot of shooting in my youth), I got into them because I realized the need to protect myself and my family from grave physical harm. I’m not “high speed, low drag” (quite the opposite, in fact) and I’m not a Tier One Tactical Operator. I’m just a guy who thought practical shooting might be a fun way to get in some firearms training under stress, so this advice is coming from someone whose first time at a match wasn’t that long ago. There are two major organizations for practical pistol in the United States: The United States Practical Shooting Association (USPSA) and the International Defensive Pistol Association (IDPA). The primary difference between the two is that the USPSA tends to have more specialized equipment and abstract courses of fire to shoot, and IDPA tends to focus more on “real world” application of skills. Which is better? That’s for you to decide. Today, though, we’ll talk about shooting USPSA in the Production division. We'll cover IDPA in a later article. USPSA Production division is for “stock” semi-automatic service pistols like the Beretta 92 and the Beretta APX. Now before you start thinking that Production the Little League of practical shooting, know that some of the best shooters in the world compete in this division. But don’t worry, because you don’t have to live up to their standards, just your own, as both the USPSA and IDPA are set up so that marksmen of comparable skill compete against each other, not against the top guns. Almost anything out of the box in that caliber is good to go as is, as long as the magazine can hold ten rounds or more. And yes, you can compete with a .40 S+W or a .45 auto, but Production division is set up with the 9mm round in mind. Nylon holsters may work, but Kydex or leather is better. No drop-leg, shoulder, cross-draw or small of back holsters are allowed. And get a good stiff gun belt to hold everything secure around your waist. Four magazines are pretty much the minimum. In USPSA, you can shoot up to 32 rounds (without misses) on one “stage”. To make things even for states with magazine capacity bans and to account for the varying capacities of different pistols, the USPSA mandates that Production guns can only start with ten rounds in a magazine, even if the mag holds a dozen or more rounds. Ten rounds per magazine, 32 shots per stage… You do the math. Safety glasses and good earplugs are a start. I prefer electronic earmuffs because they allow me to easily hear range commands yet still protect my hearing. Figure on shooting around 120-150 rounds in a typical four-stage match but bring about 200 rounds, just in case. $500-700 for a new pistol. If you have a pistol for home defense, go ahead and use that. The rules for Production class make it easy to compete with just about any modern 9mm pistol with a magazine capacity of ten or more rounds. $50-150 for the holster and magazine carriers. Leather, hard plastic nylon or Kydex are preferred for competition. Soft nylon holsters will work, but they tend to shut themselves closed when a gun’s not in them, making them dangerous to use when re-holstering your pistol. Stay away. $50-100 for a gun belt. I started out thinking a gun belt was just a “vanity” accessory and that any old belt will do. It won’t. Think of the gun belt as the foundation that will hold the weight of your pistol and magazines as you run around on a stage. The better the foundation, the more secure your gear will be. $50-150 in spare magazines. Get at least five, because you’re going to be dropping these suckers into the ground over and over again, and stuff breaks. $25-100 for a range bag to carry everything. Something big enough to carry all of the above yet easy to lug around with you from stage to stage. I saw a guy at a match last month with a DeWalt tool bag as his range bag, and you know what? It worked GREAT! $50 and up for ammo. Here we get to the expensive part of USPSA. A typical match for my club is four stages, each with about 25-35 rounds fired. Add in misses and the need to keep your spare magazines full, and you’ll soon see that bringing 200 or more rounds to a match is a good idea. Fortunately, we’re starting to see some good prices on 9mm ammo, so don’t let the cost of ammo stop you from shooting a match. 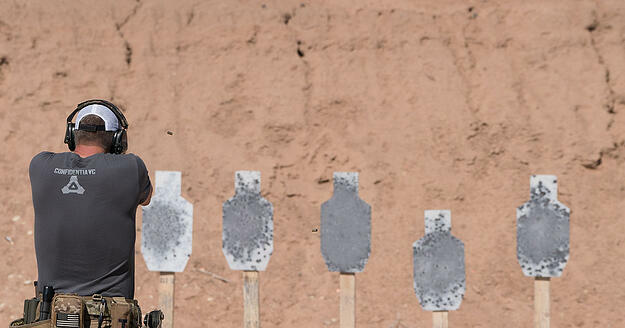 Before you shoot your first match, go to the range ahead of time without your gun and see how things are run. Find someone there who can show you the ropes the next time when you're ready to try the competition. Know how to use your gun and use it safely. You don’t need to be Annie Oakley, but you should know how to load and unload your gun, how to deal with loading or feeding issues and most importantly, the basics of gun safety. Be safe. And have fun. 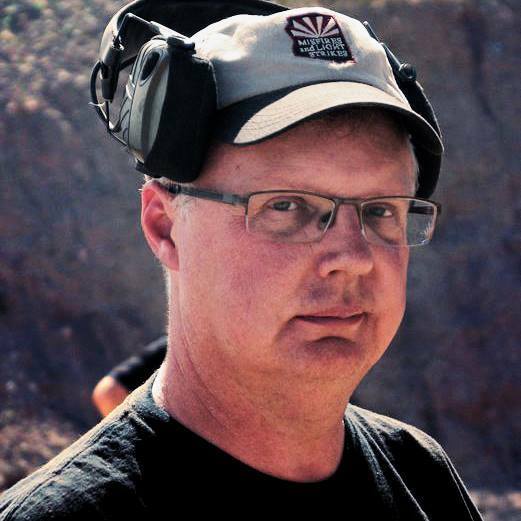 Kevin Creighton is a firearms trainer, gun writer and an active competitor in many different shooting sports. He's trained with Bob Vogel, Massad Ayoob, Rob Leatham, Gabe Suarez and many others. He is the owner and head trainer of Quietly Armed, and was the former owner of Misfires And Light Strikes (http://misfiresandlightstrikes.com). You can follow him on Facebook at /Quietlyarmed, on Twitter @ExurbanKevin and on Instagram @exkev.